Did you have an IVC Filter inserted to prevent a pulmonary embolism? 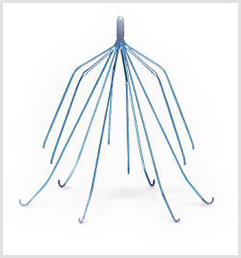 Serious life-threatening injuries have been associated with the Bard Recovery IVC Filter and G2 IVC Filter System. To streamline proceedings, two dozen Bard IVC filter lawsuits have been consolidated into a federal Multidistrict Litigation (MDL). According to court documents, alleged victims suffered internal injuries to the heart and lungs when a Bard IVC filter broke, fractured, or moved from where it had been implanted. Defective products can cause serious personal injury and even death. Device manufacturers first responsibility is the safety of the people using their product it is up to them to ensure that a medical device is fit for use by the public. Lawyers at Harbin & Burnett LLP are handling claims for individuals who have been injured by an IVC filter. All information provided to determine your legal rights will be kept confidential. In a warning letter to Bard dated July 13, 2015, the United States Food and Drug Administration (FDA) referenced numerous violations including misclassifying serious injuries, deaths and device malfunctions linked to IVC filters. Warning signs that a Recovery IVC Filter or G2 IVC Filter System has failed include chest pain and shortness of breath. In most cases, victims end up in the emergency room. A CT scan or other test will be used to determine if the IVC filter system has failed. If you experienced any of the following symptoms after receiving an Inferior Vena Cava (IVC), you may be eligible for compensation. However, removing these devices has also proved to be problematic. A study published in JAMA Internal Medicine in March 2013 found that less than 10 percent of filters were successfully removed, with eight percent of IVC patients suffering a pulmonary embolism in spite of having an IVC in place. If you experienced serious complications from an IVC filter do not delay. You need to speak with one of our reputable defective product lawyers today. IVC is the largest vein in the body, used for transporting deoxygenated blood from the body back to the heart so that it can be pumped to the lungs. The small, spider-like filter is designed to catch blood clots that may break free, preventing them from traveling to the lungs and causing a pulmonary embolism. However, patients who receive IVC filters most commonly have an increased risk of blood clots and are unable to take anticoagulant medication. The IVC filters are basket type devices which catch any blood clots in the bloodstream so they cannot pass to the lungs and cause a pulmonary embolism which is often fatal. You are not under any obligation to move forward with an IVC filter lawsuit until you determine this is the right option for yourself and your family. If you, a family member, or loved one has been injured because of a defective product, let our experienced team of attorneys negotiate on your behalf today. Call 1 (888) 821-0247 to schedule your free, no obligation consultation.